Today is all about Oprah and YOU- or the you that's possible if you follow your calling, your passion. Not easy to do, but it's doable. The following are some of the diamonds Oprah shared. Read the words and let them lead you to your truth. "The Universe is always speaking to you." "The essence is to know there is no feeling your best life without connection to your spiritual life- The Spirit of You." "I was born poor- which makes being being rich so much better." "You can be a better you than a pretend anyone else." "Knowing what you don't want to do is just as important as knowing what you do want to do." "When all goes wrong, the Universe is trying to move you in a new direction." "Where is flow in your life?" "Everybody wants to know- 'Did you hear me?' 'And did what I say mean anything to you?' "
"We are all looking to know that we matter." "You become what you believe, not what you want." "Keep Your Vibration high. That's your #1 job." "To have the Life you want, you have to choose Love." "If you're still breathing that means you get a second chance." "Your Life is speaking to you all the time. Especially in trial. They are outside you to see if you know who you really are." "Gratitude is the fastest way to change vibrations." "Sustained Joy is the Reason You Are Here." to LIFT you higher and make you BETTER." "God is ready to move you in a new direction. Be ready to claim you power. No. 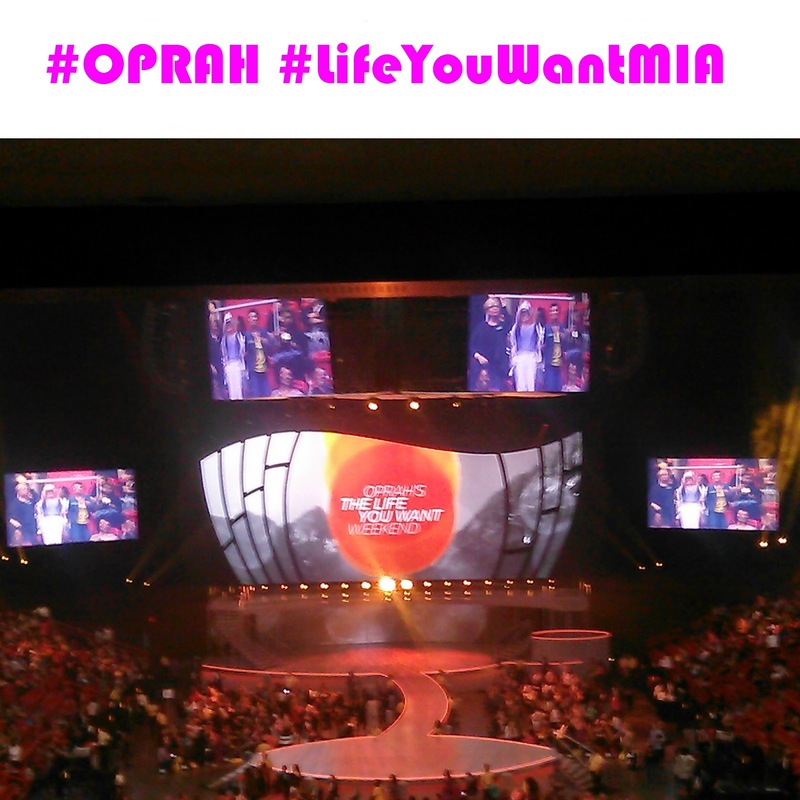 Grandson's 8 bday 2day Family 1st... pero #Oprah is REAL CLOSE 2ND RT @meeshsparks: @BBabushka @Oprah #LifeYouWantMIA are you here ?! PicaPica's 8th Bday. Y'all know Babushka- always saving the best for last. Pero this WAS a REAL CLOSE 2ND.